Marbella is a city and resort area on southern Spain’s Costa del Sol, part of the Andalusia region. The Sierra Blanca Mountains are the backdrop to 27 km of sandy Mediterranean beaches, villas, hotels, and golf courses. West of Marbella town, the Golden Mile of prestigious nightclubs and coastal estates leads to Puerto Banús marina, filled with luxury yachts, and surrounded by upmarket boutiques and bars. Due to the proximity of the mountains to the coast, views of the sea and mountain vistas are visible from almost every part of the city. Marbella is bordered on the north by the municipalities of Istán and Ojén, on the northwest by Benahavís, on the west by Estepona and on the northeast by Mijas. The Mediterranean Sea lies to the south. Marbella has some of the most expensive properties for sale in Spain with villas on the Golden Mile being some of the dearest in Spain. 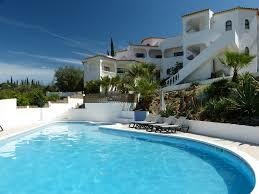 Due to the cost of properties in the resort a rent to buy option is a great way to get onto the housing market.